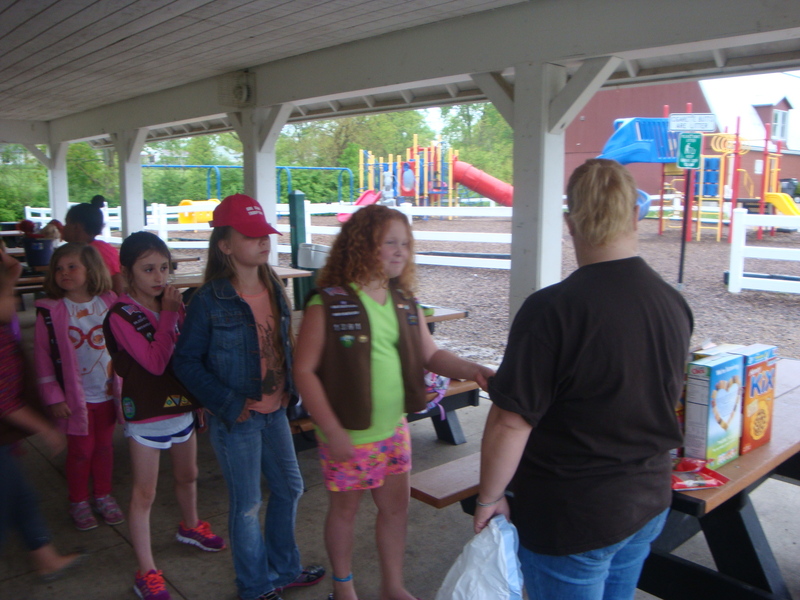 I had each girl come up, sanitize their hands and take an ingredient….. Here is the script for the ceremony it was very fun! before heading off on an outdoor adventure. 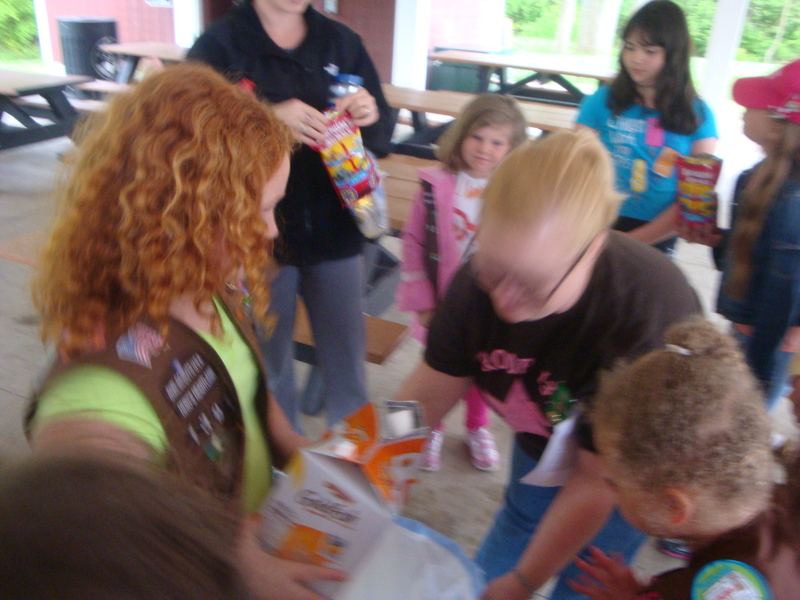 many ways of Girl Scouting nourishes our spirits. So we will begin with CHEX. So we will contribute M & Ms. 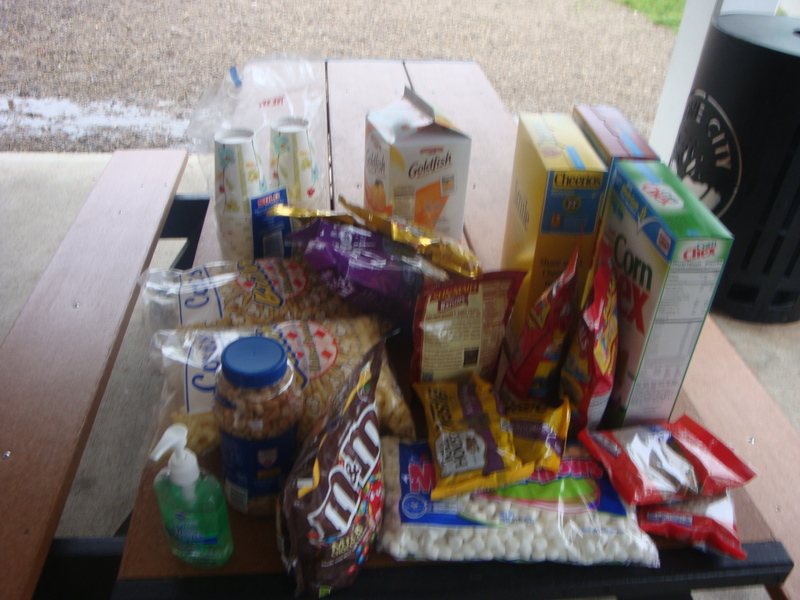 So we will add PRETZEL THINS AND MINI MARSHMALLOWS. to give in service to those who need our help. So we will sprinkle in TEDDY GRAMS. games, and make a Friendship Circle. You could say that we are well rounded. So we will roll in CHEERIOS. So we will pop in POPCORN. 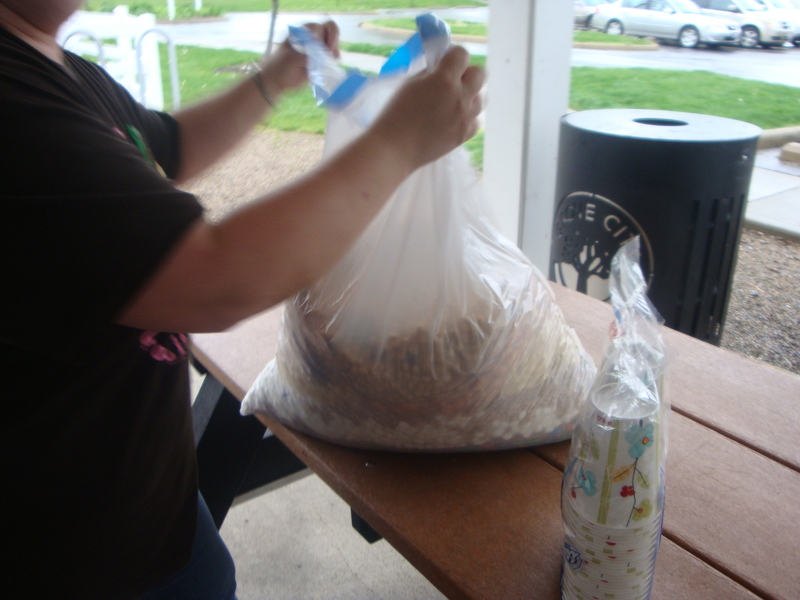 So we will release GOLDFISH & ANIMAL CRACKERS to the mix. we all have been part of an old tradition, and are proud to be part of the future. So we will drop in CHIPS. So we will kick in KIX. 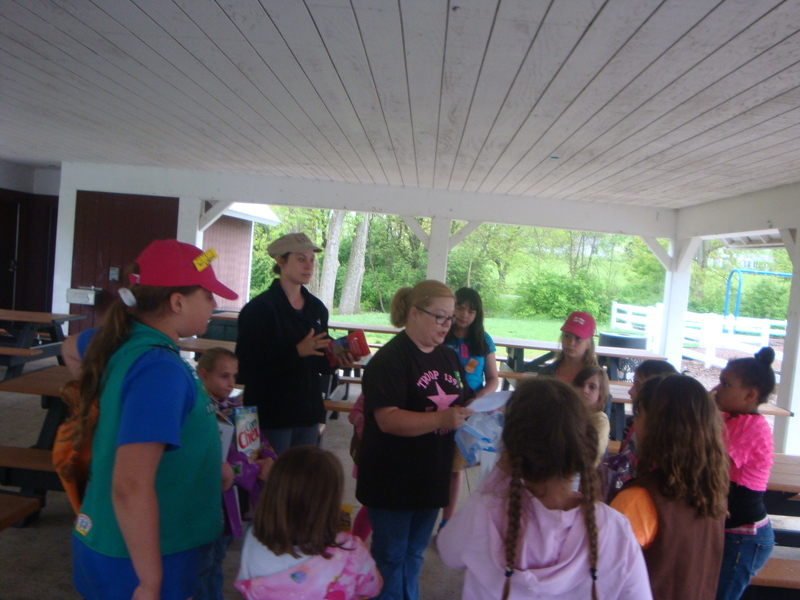 Young Girl Scouts may be hard to resist because they are fresh, sweet and new. But the older scout maybe more fun, because she has more experience. So we will put in RAISINS. warmly shine on to grow up strong. So we will finish with scattering these SUNFLOWER SEEDS. up with something truly special! Here is the PDF if you want to print it out I found it on Google ! 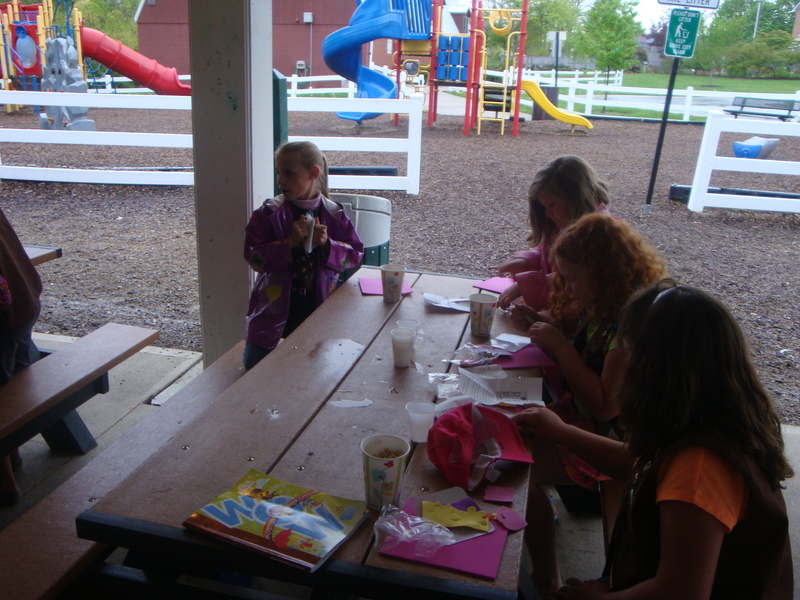 This entry was posted in Girl Scouts Troop 1391 and tagged brownies, camp, girl scouts, gorp, gorp ceremony, juniors, trail mix. Bookmark the permalink. ← I want to go to Pizza Planet, Mommy!